usually about three-quarters of an inch. 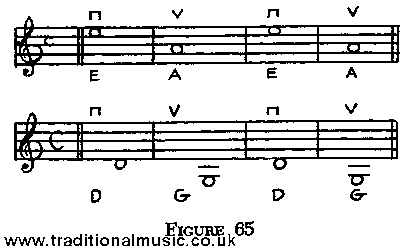 For half steps the fingers are placed close together. your first finger and put it on the E string, close to the nut.